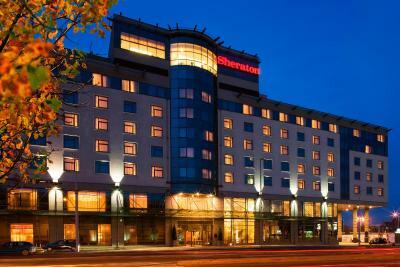 Lock in a great price for Sheraton Poznan Hotel – rated 8.7 by recent guests! Very friendly desk staff. Restaurant staff also very helpful. Very good location, underground parking, good restaurant, very friendly reception staff. Easy access, credit card accepted. Everything were same or better than my expectations. 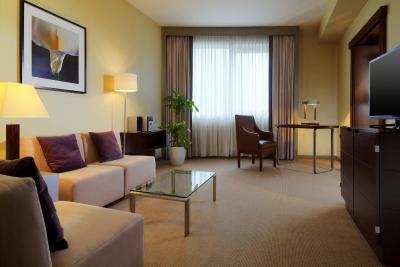 It is Sheraton Standards with good price. Food in local diner was excellent. Great staff. Very friendly. Room and bed very comfy, Staff very friendly and helpful. Great breakfast selection. 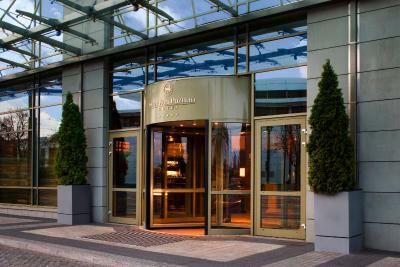 Sheraton Poznan Hotel This rating is a reflection of how the property compares to the industry standard when it comes to price, facilities and services available. It's based on a self-evaluation by the property. Use this rating to help choose your stay! 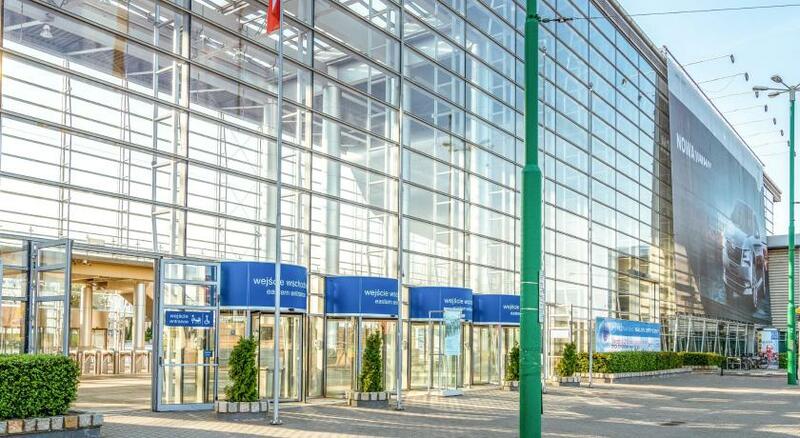 One of our top picks in Poznań.The Sheraton Poznań is located 2,800 feet away from Poznań Główny Railway Station and a big shopping mall Avenida Poznań. Poznań Internation Fair is across the street. 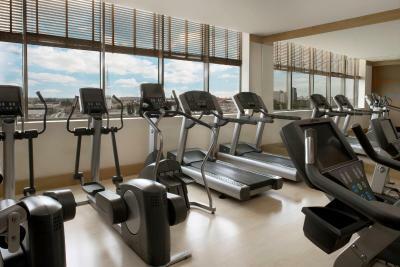 It offers spacious air-conditioned rooms. 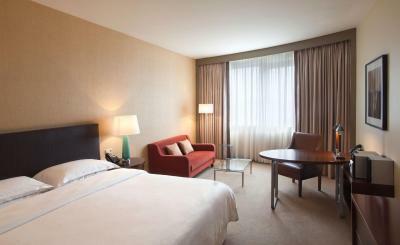 Painted in bright colors, the rooms at the Sheraton come with flat-screen TVs with cable. Apart from a private bathroom, they all have an electric kettle, a mini-bar and refrigerators. 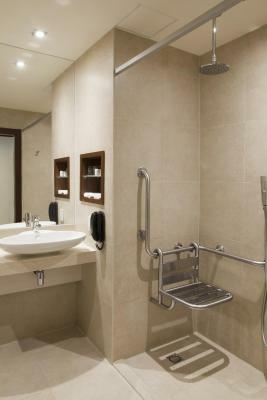 Guests can use the many facilities that the Sheraton Poznań provides. 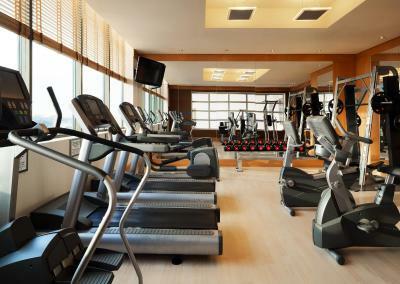 They include a heated indoor swimming pool, a fitness center and a sauna. A large variety of massages is also available. 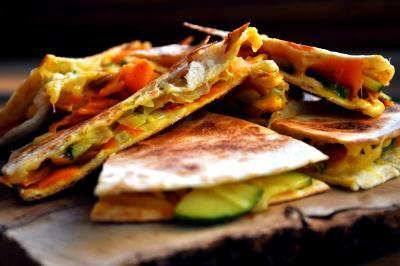 The Sheraton offers two restaurants and serves a varied breakfast buffet in the morning. Someplace Else serves Tex-Mex and American dishes. 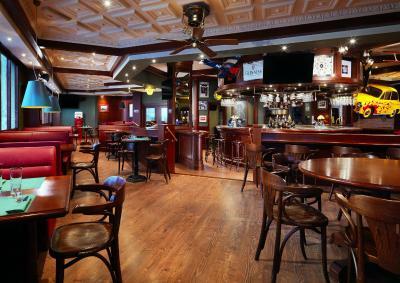 Two bars, the Qube café and Qube Vodka Bar, offer snacks, beverages and various drinks. 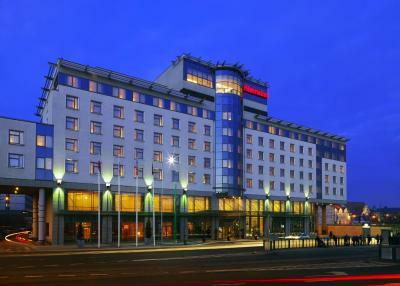 When would you like to stay at Sheraton Poznan Hotel? 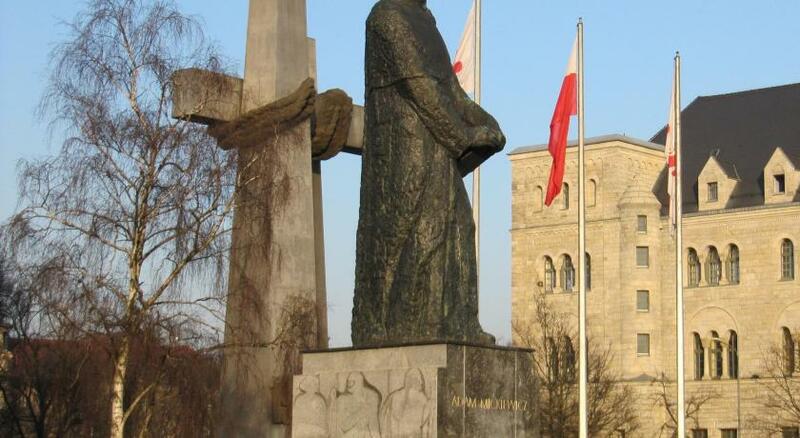 Private parking is available on site (reservation is not possible) and costs PLN 120 per day. Hotel surroundings – This neighborhood is a great choice for travelers interested in city trips, culture and friendly locals – Check location Excellent location – show map Guests loved walking around the neighborhood! 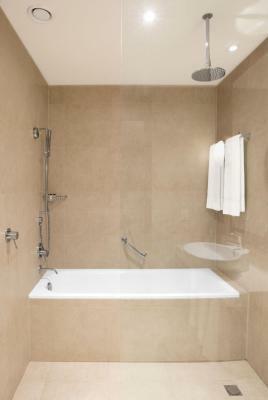 House Rules Sheraton Poznan Hotel takes special requests – add in the next step! One older child or adult is charged PLN 120 per person per night in an extra bed. Sheraton Poznan Hotel accepts these cards and reserves the right to temporarily hold an amount prior to arrival. 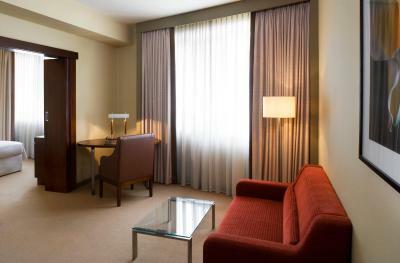 Please inform Sheraton Poznan Hotel of your expected arrival time in advance. You can use the Special Requests box when booking, or contact the property directly using the contact details in your confirmation. The street was noisy and you needed an open window because the room temperature otherwise was too warm even with cool air condition. The pool was smaller than what was shown on hotel website pictures. did not have b'fast. property needs an update i think, as curtains had holes, and carpet needs replacing. Nothing really, maybe some extra english language programmes on the TV there is only so much of CNN or SKY news you can watch. Beautiful Hotel in a great location, great spacious rooms, fantastic shower everything very clean. Staff very friendly and helpfull especially reception. Mediocre Sheraton experience, basics were there but the facilities are somewhat dated and although there's plenty of staff, it's not reflected in the level of service. The bread and pastries at breakfast seemed stale on both mornings and the quality of the omlettes was subpar. Definitely not worth £15. The pillows were all very soft instead of a mix you normally get at a top hotel. 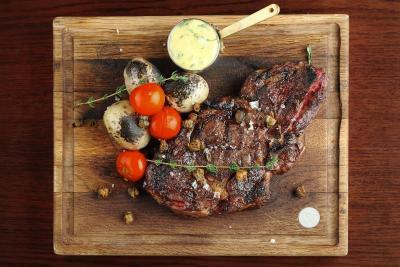 The staff was very polite, courteous and always ready to help. My flight was delayed so I requested a late checkout which was allowed with zero issues. Absolutely brilliant staff! Poor service in restaurant. Waiter didn't write order down (we challenged and asked him to repeat back) and then delivered the wrong food, which meant my colleague ate their food before mine was ready. No apology and no acceptance of responsibility. Rooms lovely, bed comfortable. Arrived very late and welcoming acknowledgement by night porter. The trainees at the desk didn't know what to do and where left alone. SO check in was a mess. The restaurant has a very limited card with avarage quality food. The older staff did a super job at the desk ! The breakfast was untill 11 but at 10 they already started to clean up. Friendly staff, clean rooms. Very close to the exibition centre.